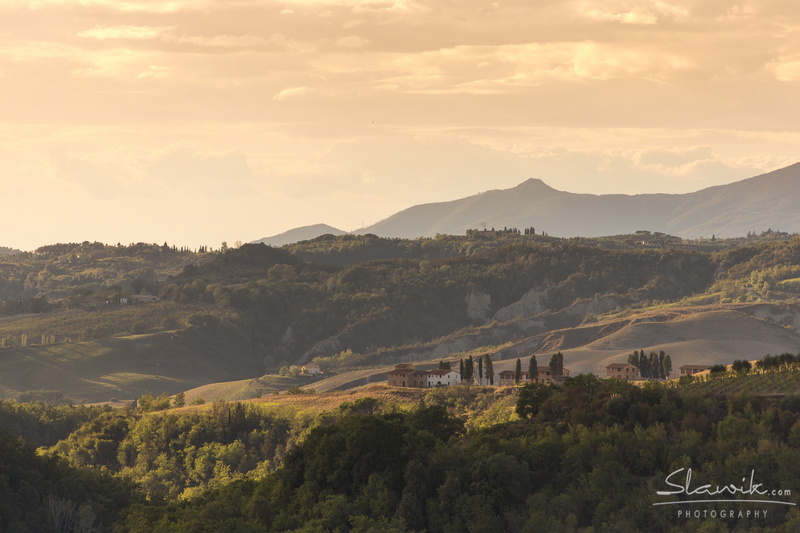 Last year we made a photo excursion down to the south of Tuscany, to photograph some very special horses. 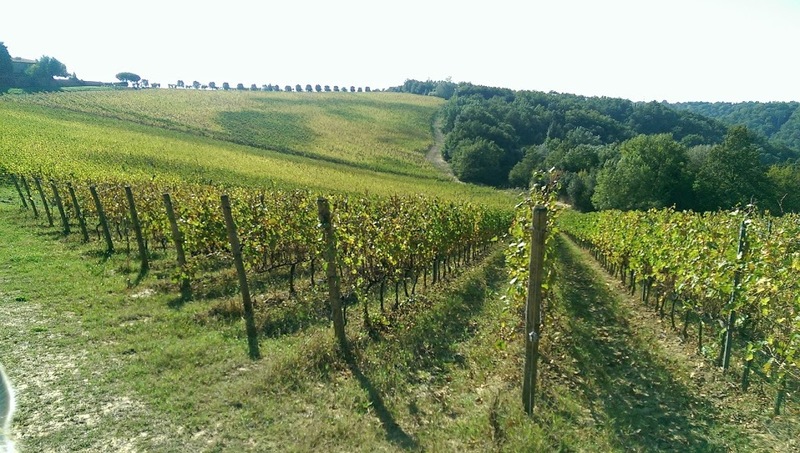 The Maremmani. 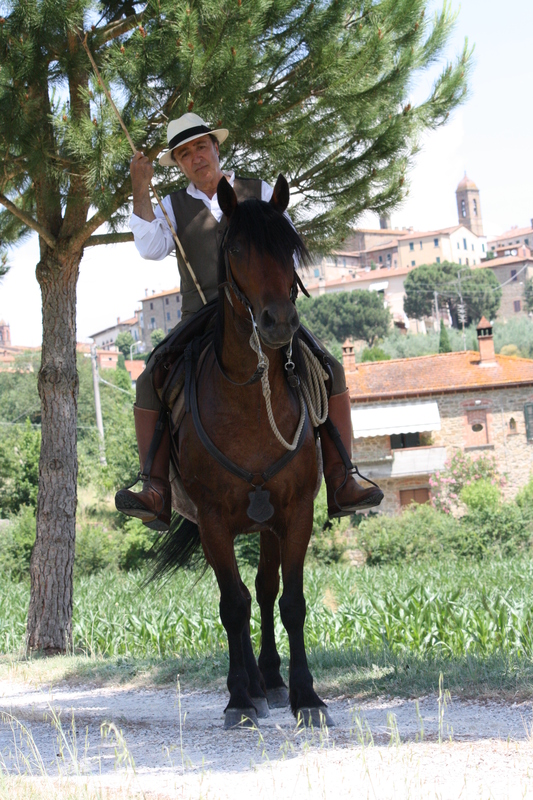 The group of riders we photographed were passionate Tuscan riders, who kept alive the Butteri style of riding, and the love of the hardy and strong minded Tuscan cowhorse, the Maremmano (and one adorable rare Tolfetano mare). Below are some of the photos. 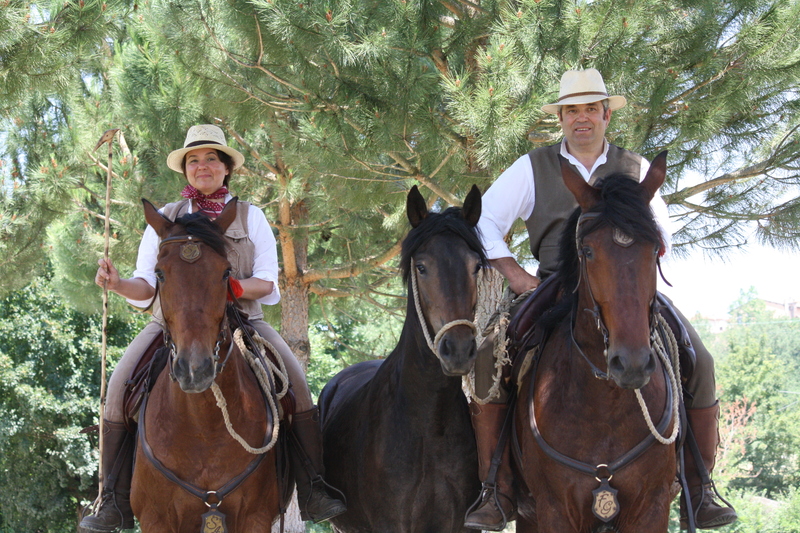 It was an amazing day, with really wonderful people, and the horses were something out of this world. 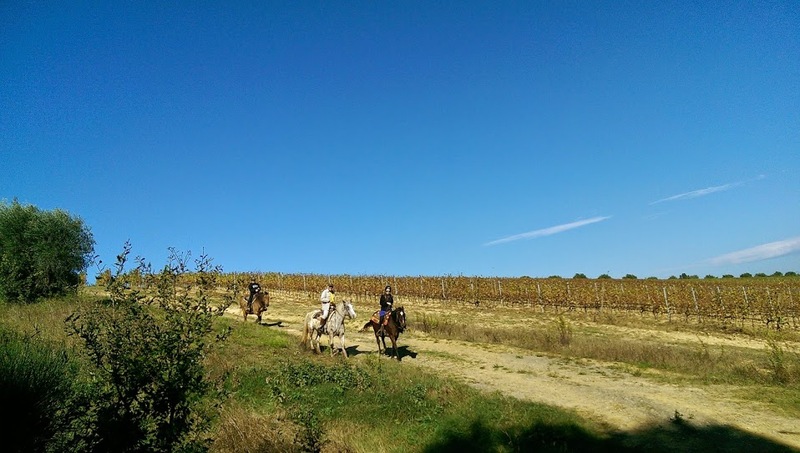 If you ever have the chance to ride one of these horses (there are many trekking centers in the south of Tuscany) and try the fantastic traditional tack, you should jump at the chance. 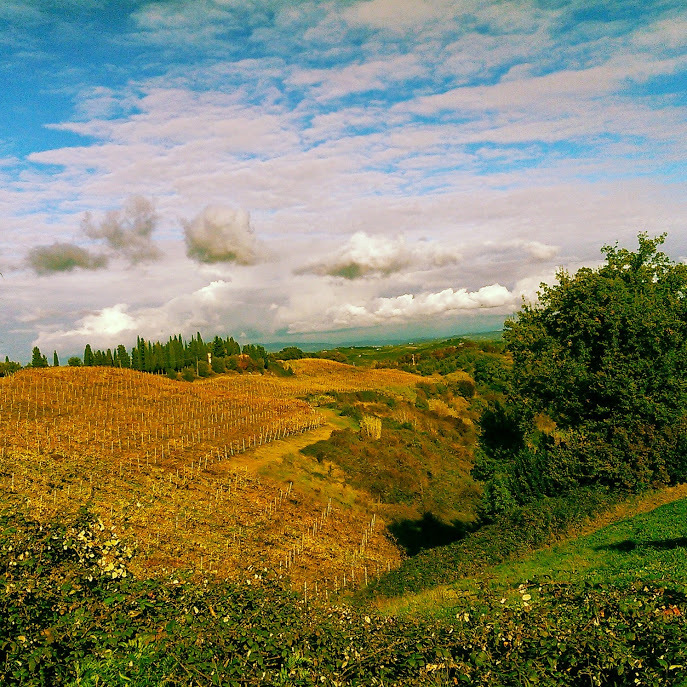 Winter in Tuscany brings rain. Lots of rain. 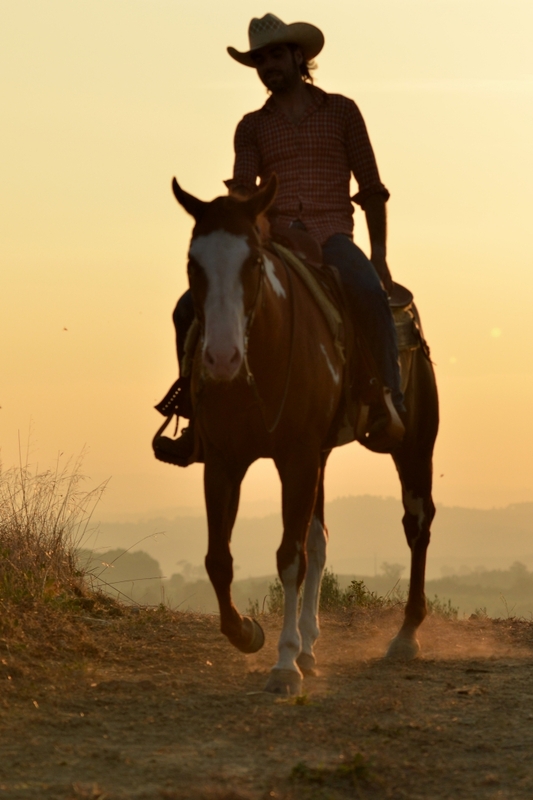 Driving to work daily, I find myself noting how the ground looks in sections where I normally pass on horseback. Its something I do unconciously, even though right now I am not riding at all.Weather is such an important factor to working outside with horses, and the softness of the ground, slipperyness of hill sections, or obstacles caused by heavy wind or rain, really can make a huge difference to the safety of the horses or riders I accompany out during the season. Working as a guide means in an area where the weather can change quickly during the wet months, means having alternative routes in the case of emergency is a must. Early spring makes for challenging riding, the weeks leading up to our seasonal opening (end of March) make for a lot of maintenance runs in the truck, tractor or horseback. 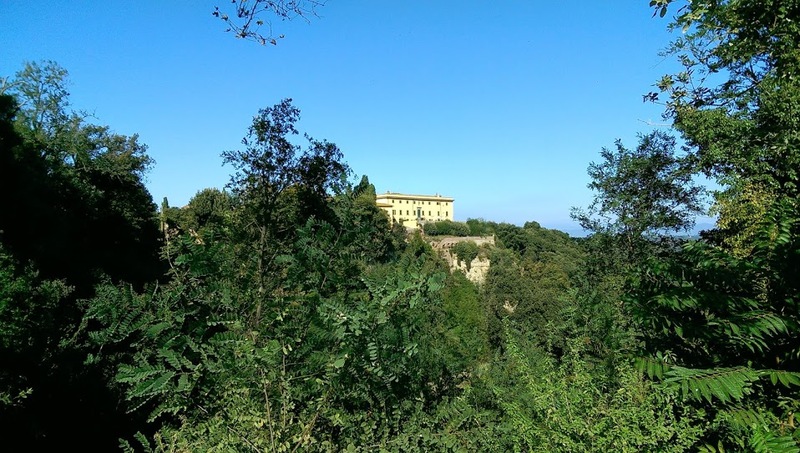 Annually in the spring we need to clear the trails of fallen trees, rebuild the bridge that runs between Castelfalfi and Castellare, over the river (which swells considerably during the winter due to heavy rainfall), and fill in any of the dangerous sink holes that open up due to flooding. All of the trails need to be checked before we ride them, as any obstacle could bring about lengthy extensions to our rides. Riding on these trails in slippery, often unstable terrain during the early spring weeks requires an immense amount of trust in my horse. 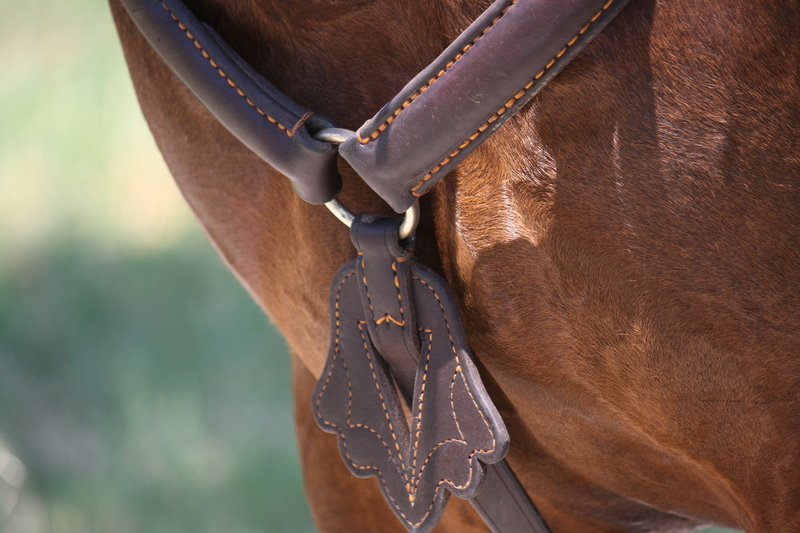 Here at Castellare we dont use any type of fixed martingales or tie-downs with our trail horses, and we ride them ‘on the buckle’ in english terminology. 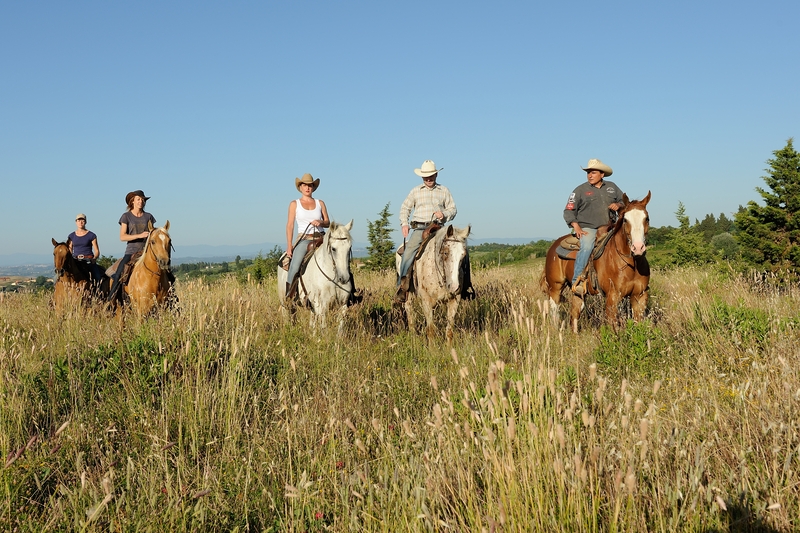 Basically, we dont have any contact unless there is a reason for it.The horses are incredibly sure footed, as many of our past clients can attest too, and know their jobs so well, that they need no rider assistance to show them where to put their feet. When clients ride out with me down steep and sometimes muddy banks, I always remind them to let the horse have his head completely. It amazes me how many people find this idea difficult, often because they have been taught to keep a contact on the horse. One client that travelled out here a few years back had learnt the hard way the importance of this rule. 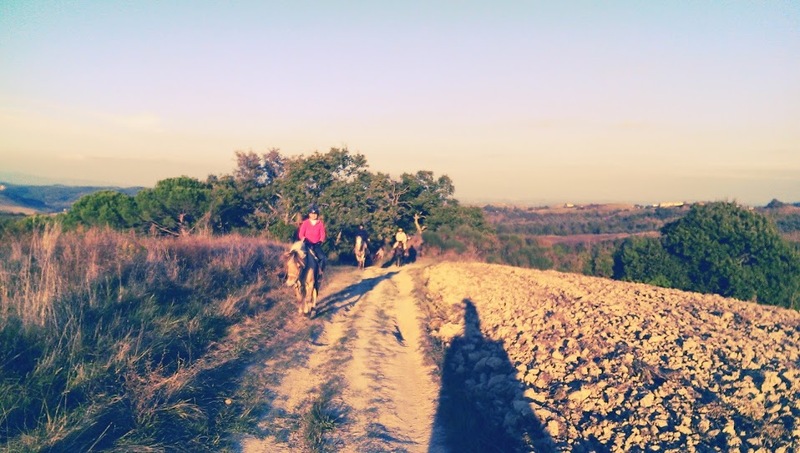 While riding in Portugal, the group was taken down a steep slope. Her horse slipped, and she tried to correct him, but instead with the head pulled up, the horse lost his balance and fell- rolling down the hill and nearly crushing the rider. 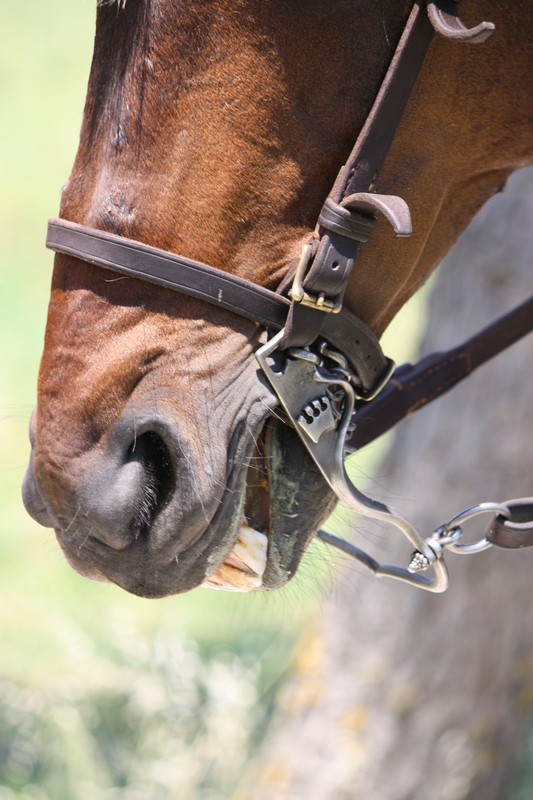 This week I was reading an article in the Horsemanship Journal, by Maddy Butcher Grey that talked about the dangers of restricting a horses head when he is required to work over uneven terrain on trails or negotiate obstacles. One comment jumped out at me. 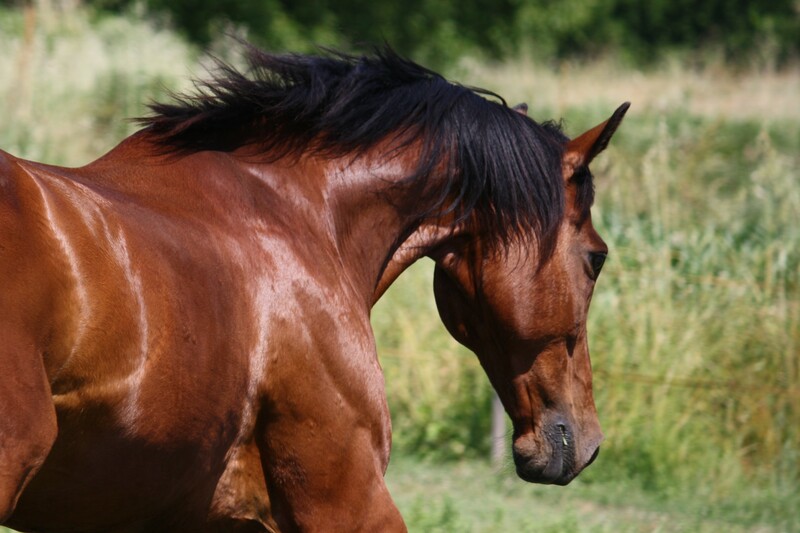 Horses are so vulnerable when they cant move their heads as they would naturally, and this is especially valid for trail horses moving over uneven terrain. 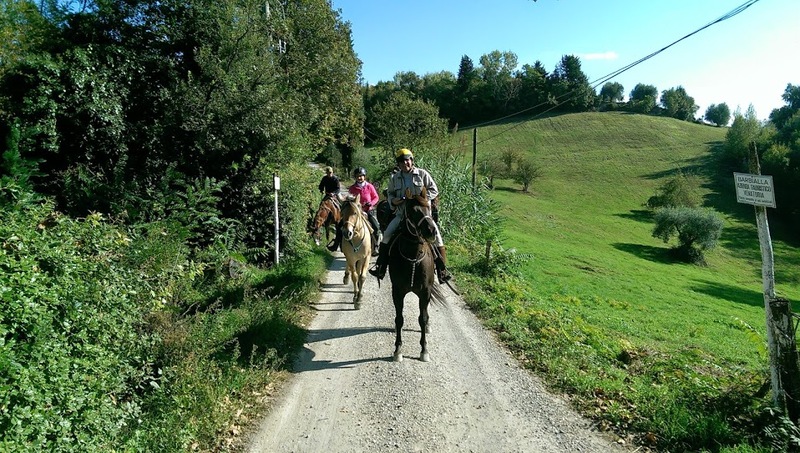 A client that was visiting a couple of years back told how on a ride horse back in her homeland, a horse in a tie down tripped on a rock, couldn’t use his head to regain his balance and fell off the trail down a fairly steep hill. 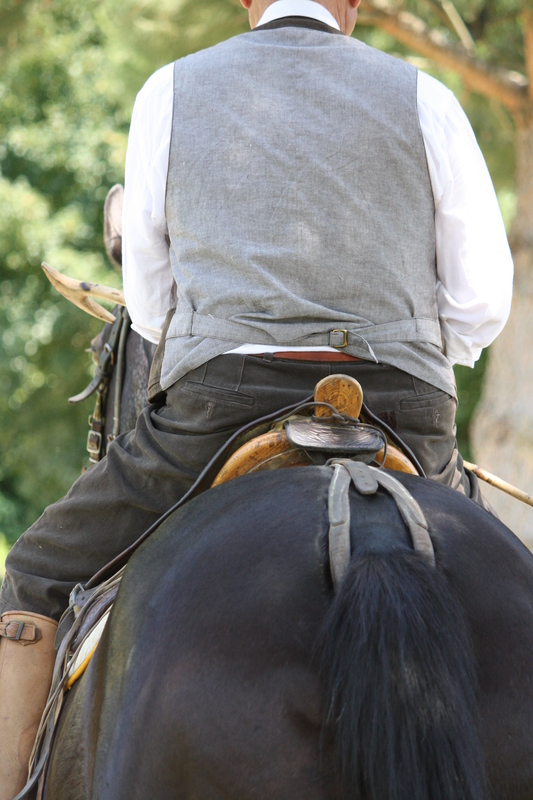 Without the tie down it would have been an innocent, quickly forgotten stumble; with it, it was a disaster for both horse and rider. 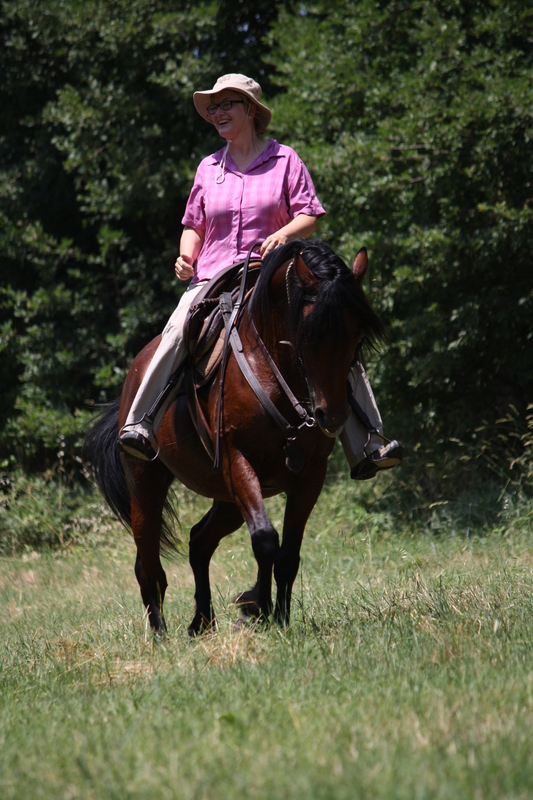 To understand why the concept of fixed martingales on trail horses is so wrong, one needs to look at how the horse is physically made up, especially of note in this post – the horses vision. 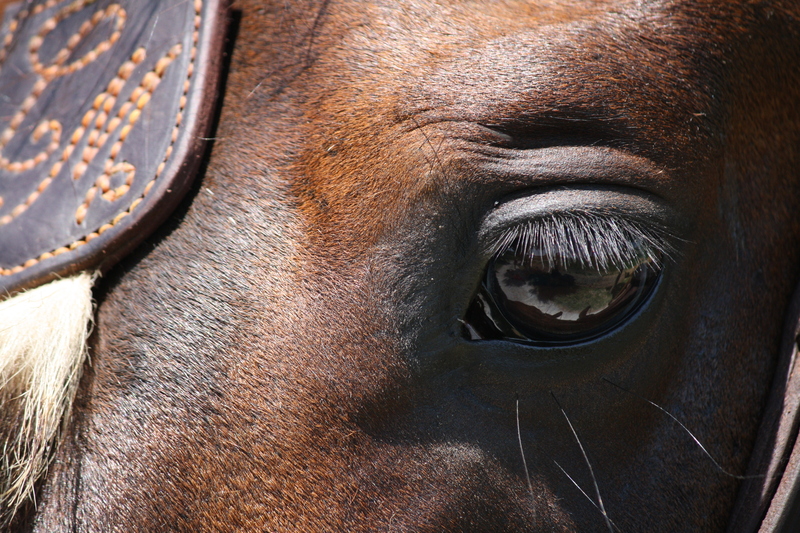 Horses have the largest eyes of all land mammals. 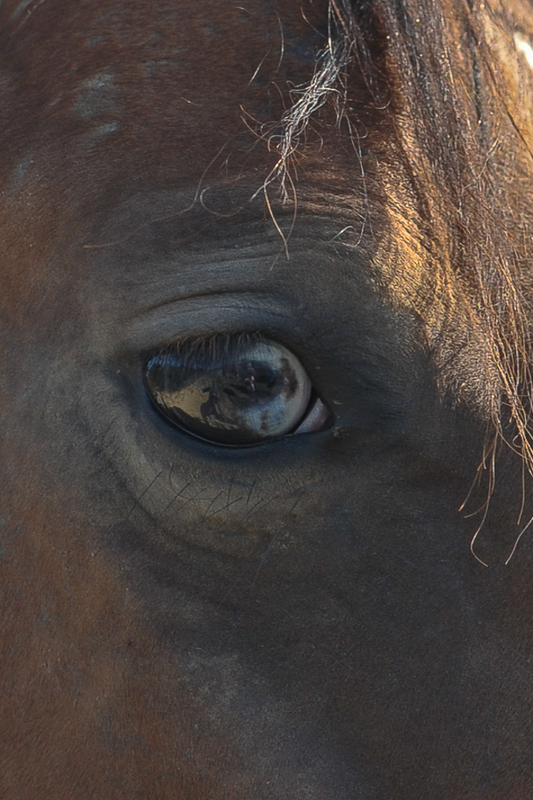 The eye of the horse is roughly eight times the size of a human eye. The placement and structure of the horse’s eyes is very different from ours. 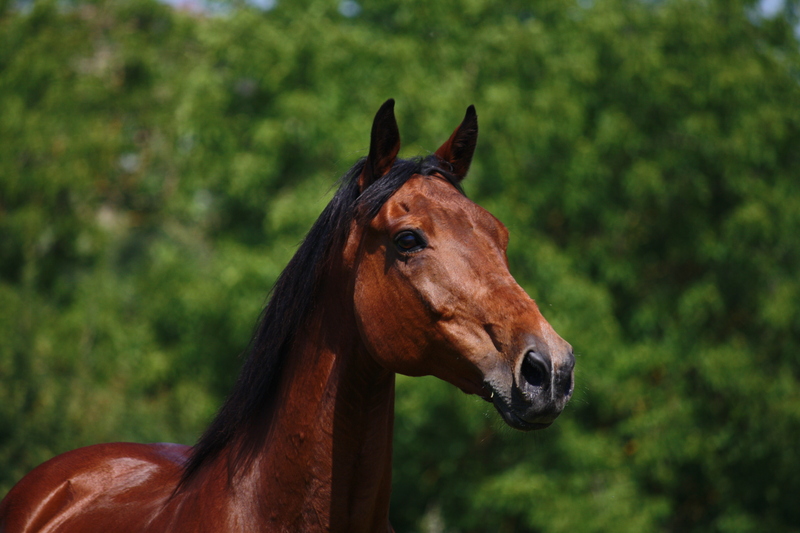 Horses are unable to focus their eyes the way humans and most animals can. When a wild horse raises and lowers his head as it looks at an object, it does so to adjust the focal length, moving until the object comes into focus on its retina. 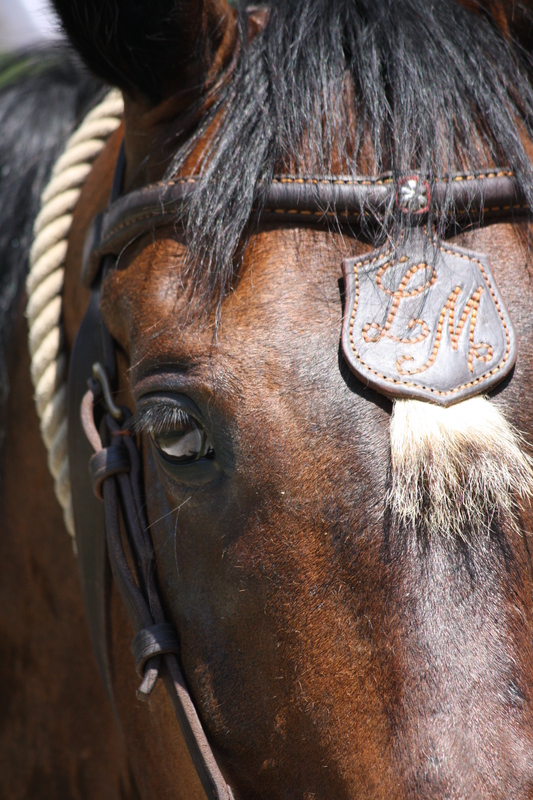 And, since the horse’s field of vision doesn’t overlap—the right eye sees what’s happening on the right side of its body, and the left side sees it on the left. (Monocular vision). 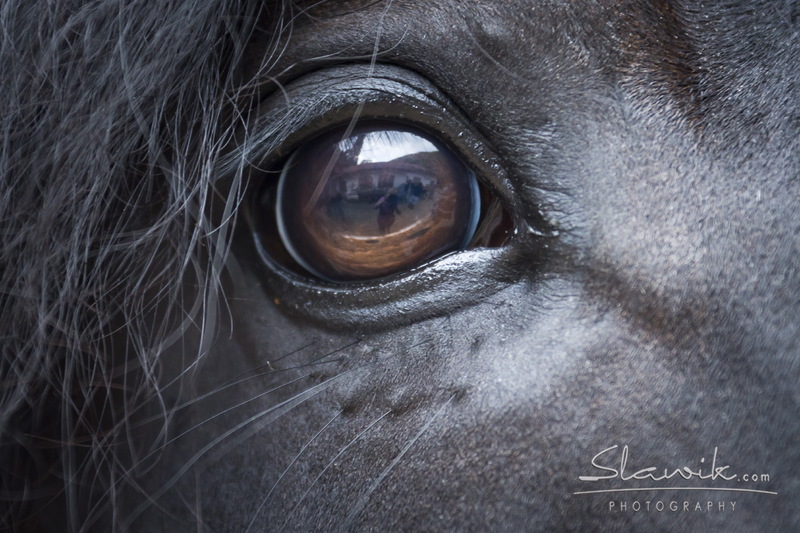 The visual streak of the eye structure of the horse, means they see in an ultra panoramic format. 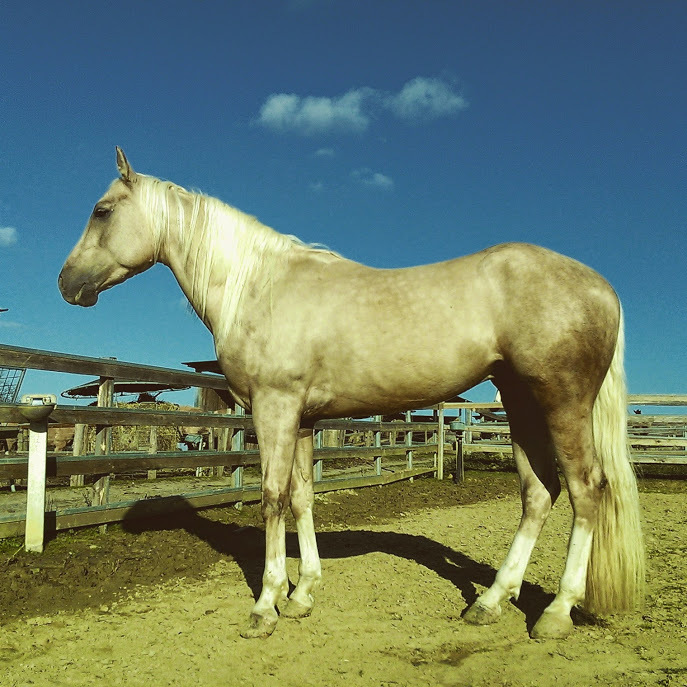 We know that horses do see some colors, but with limitations. 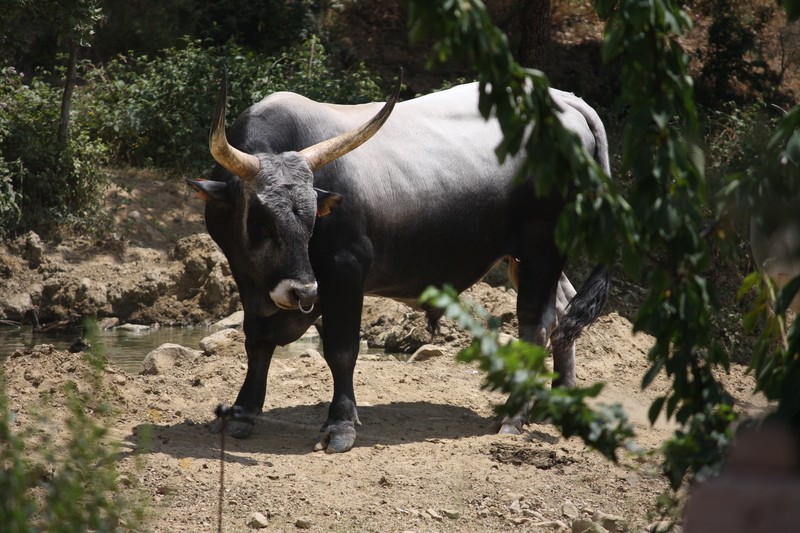 Horses much like pigs, goats, cows, sheep and deer, have only two different cone types on their retina, providing them with what scientists call dichromatic vision . 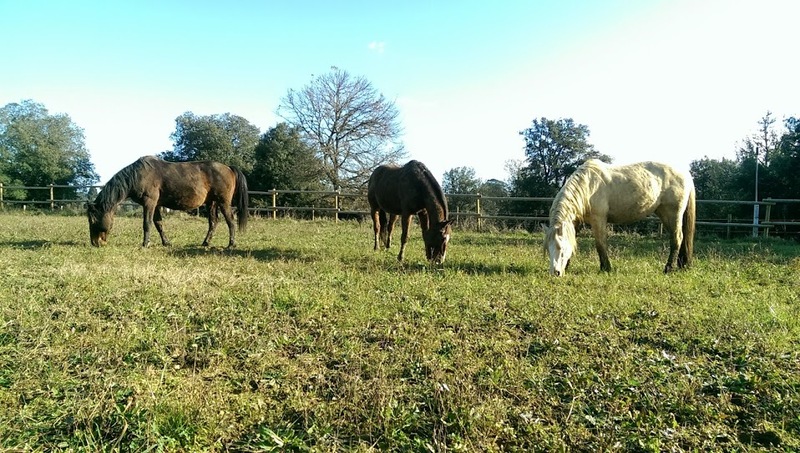 Reducing the number to two greatly reduces the number of colors horses see. They have no intermediate hues, but grays and pastels. They see mostly in the yellow, brown, and gray ranges. 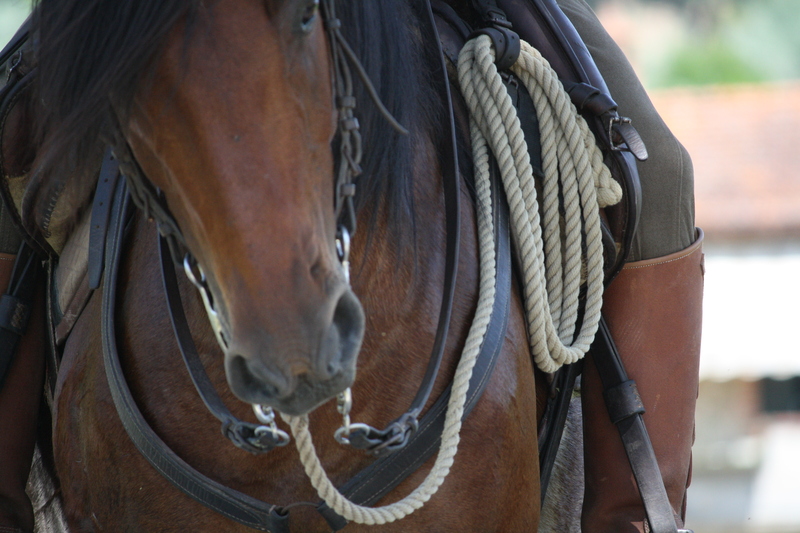 A horse’s vision is its primary detector of danger. 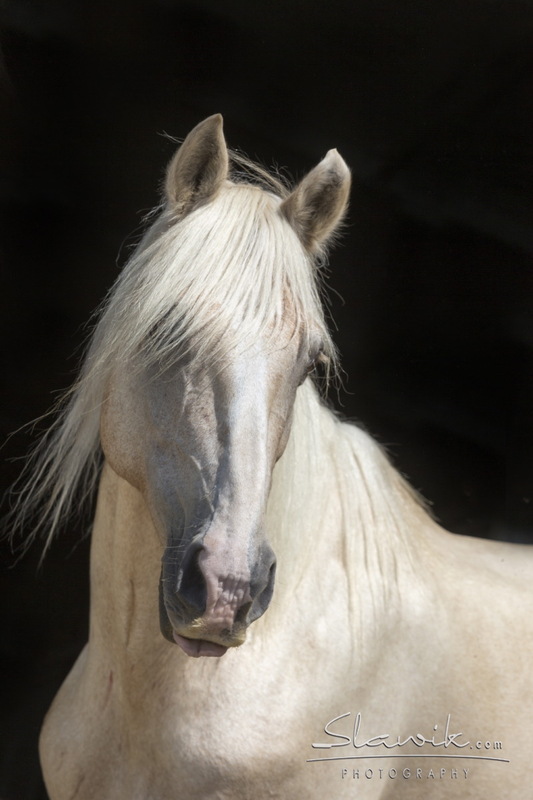 Even though horses have poor color vision, they can differentiate blue and red hues from gray ones. They have trouble differentiating yellow and green from gray and also poor depth perception when only using one eye. 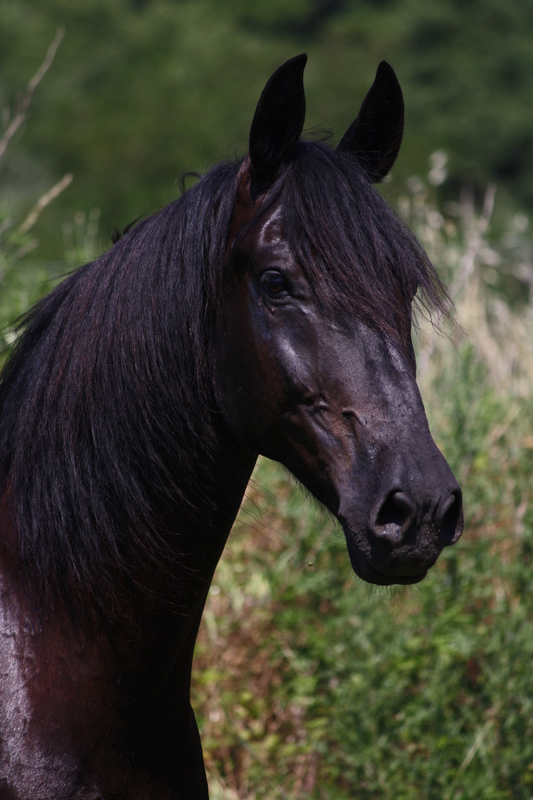 Horses have an acute ability to detect movement. This is why a horse is much flightier on windy days; things that are normally stationary are now moving and perceived as a potential threat -and for this reason, especially in racehorses, trainers often use blinkers to bring their attention on the race ahead. 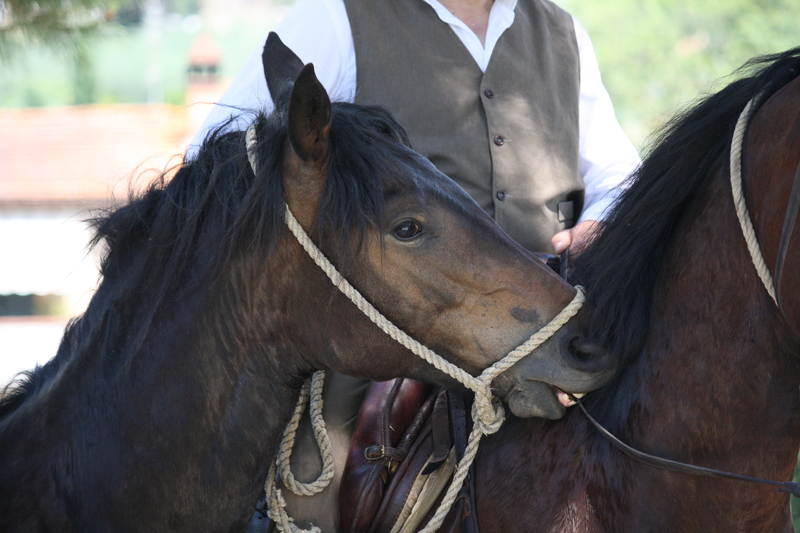 Our horses don’t see as sharply as humans – their average vision is around at 20/60 rather than 20/20, but the eyes protruding from the side of their head offer them amazing peripheral vision with only two blind spots—one directly in front of the nose extending around four feet in front of it, and the other behind the tail, about ten feet long. This peripheral vision allows them to things in a panormaic format, spotting movement on either side of the faces, as well as in front of them. Pulling a horses head down in a tie down not only comprimises his balance in the case of a fall or stumble, but also compromises his sight. For me, this means the horse is working at a disadvantage, and I need him to be 100% physically able to deal with anything that comes our way. He should have the liberty to move his head to see the landscape in different angles, so to assist him in how he moves over it. My favorite guiding horse Shamal (below), who is now close to retirement age, has the peculiar habit of moving his head side to side as we ride out. At the walk he will literally turn his head to get better views of the area we are moving through. Its not always super comfortable, but the fact that this horse has on numerous occassions spotted obstacles or dangers that I hadnt noticed (holes in the ground, wild boar coming out of a clearing, hunters crouching in bushes etc) that has then given me the time to warn riders following us, means I will happily allow him the liberty of his head since it is what guarantees our safety, and those behind us. It is also worth pointing out that this is a horse that strongly resists any bit contact, and it has taken us the past two years to really understand each other. 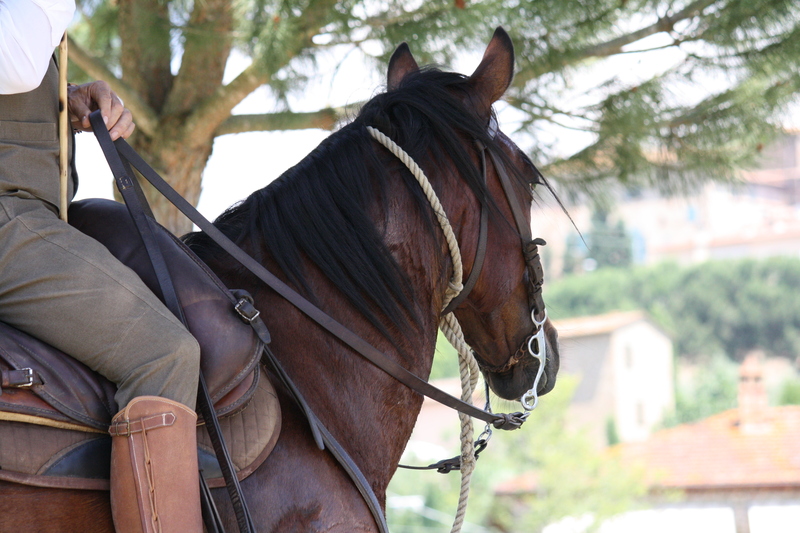 Since Shamal has a very strong, dominant character, letting him ‘take the reins’ for most of the rides we lead, has in turn developed our partnership into one of trust and understanding, something I could have never achieved by riding him on a contact, or with a forced short head carriage. 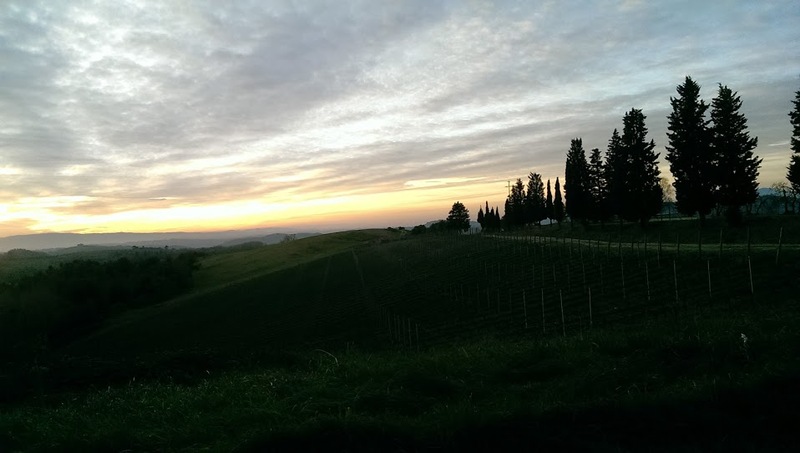 The reason why Tuscany is so eternally popular is simply because it has the best of everything – fantastic weather, spectacular natural beauty, top wines, world famous cuisine, and in every direction, pretty medieval hill towns surrounded by ancient stone walls. 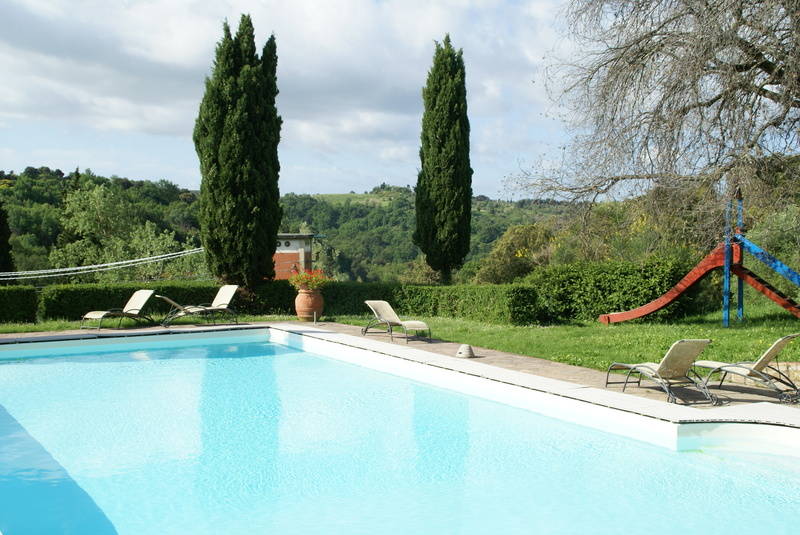 This summer we have another reason to visit Tuscany. 20% off your holiday’s price. 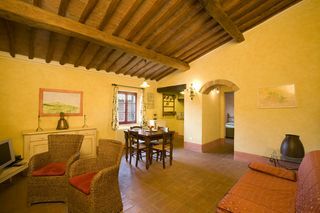 If you book your Castellare di Tonda apartment before the 1st of March, you will recieve a 20% discount on the stay. This discount applies to holidays taken between our opening date of 28 March right through to the end of season closure on the 4th November. Yes that includes high season too! This is the first time we have offered an early booking discount to our busy summer period, so dont miss the boat. Book early and save £ € $!!! Nothing helps to cure the winter blues more than the excitement of an upcoming holiday, and we require only a 30% deposit on the apartment to guarantee the booking. 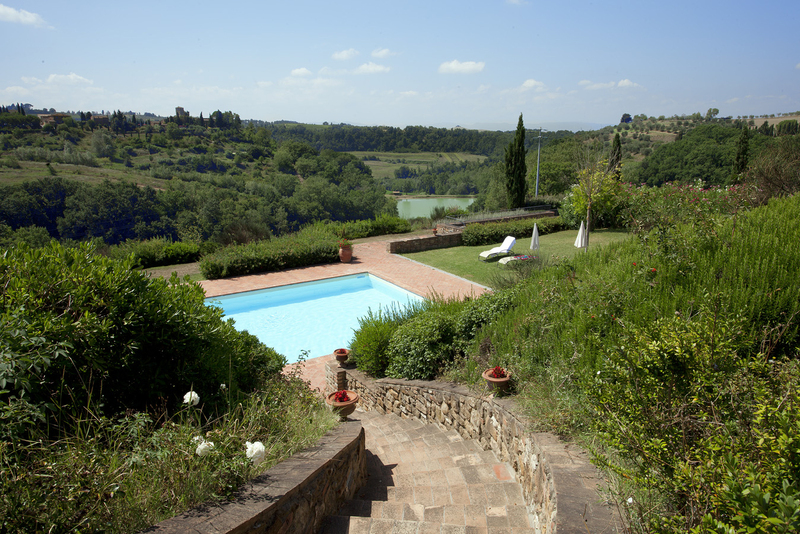 So start imagining your Tuscan holiday. Here are a few images to inspire you. 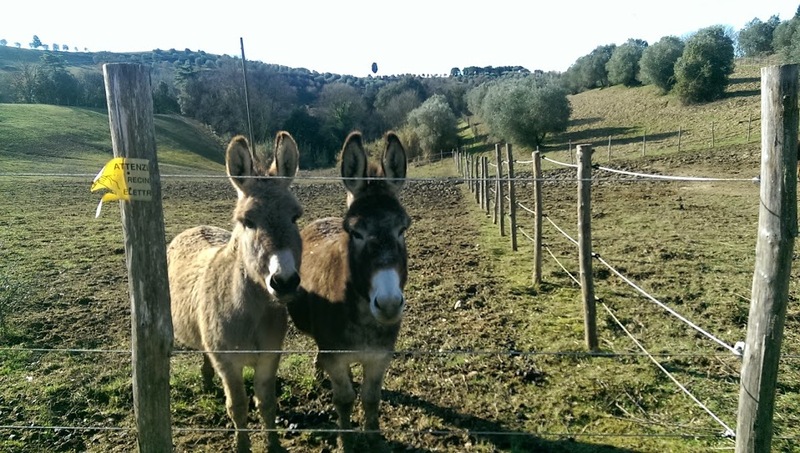 If you have a non horsey friend or family member, remember we are located right in the middle of all the top Tuscan art cities. 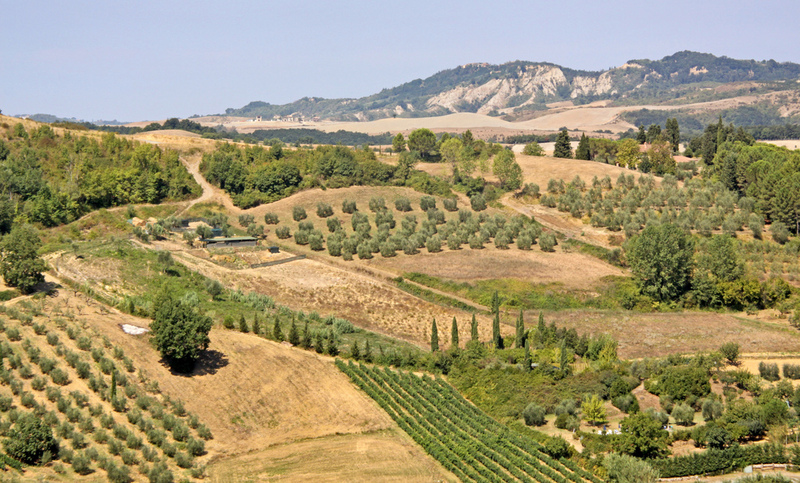 Florence, Pisa, Siena, Volterra and San Gimignano are within an hours drive. 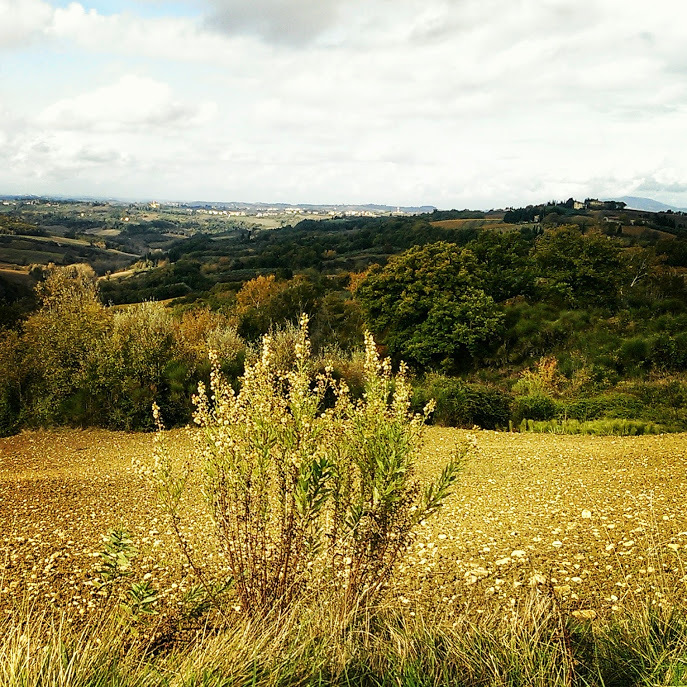 San Miniato with its medieval tower is only 20 mins drive, and Montaione; our own medieval walled town, should not be missed. Especially for a sunset aperitivo in the piazza!! As I write this post, the weather outside is damp and cool. 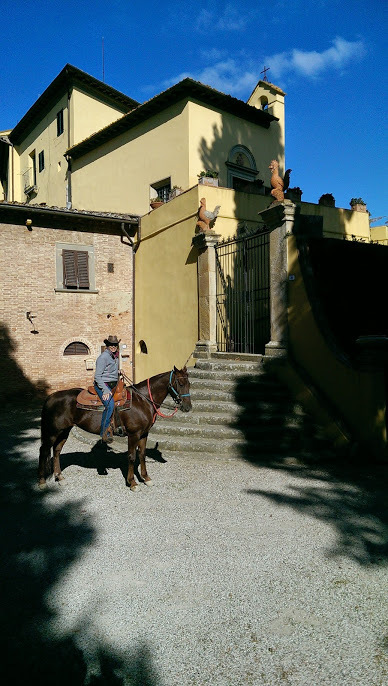 Winter in Tuscany is generally pretty mild; just yesterday I was playing around with the horses in a tshirt, while the sun shone. Today however, there is a bite in the air that has us all wrapped up in jackets and scarfs. Our office reopened today for 2015. It seems everyone I know has come down with the flu, and I am trying to ward it off with copious vitamin c tablets and warm layers. The horses, however seem to be faring just fine. 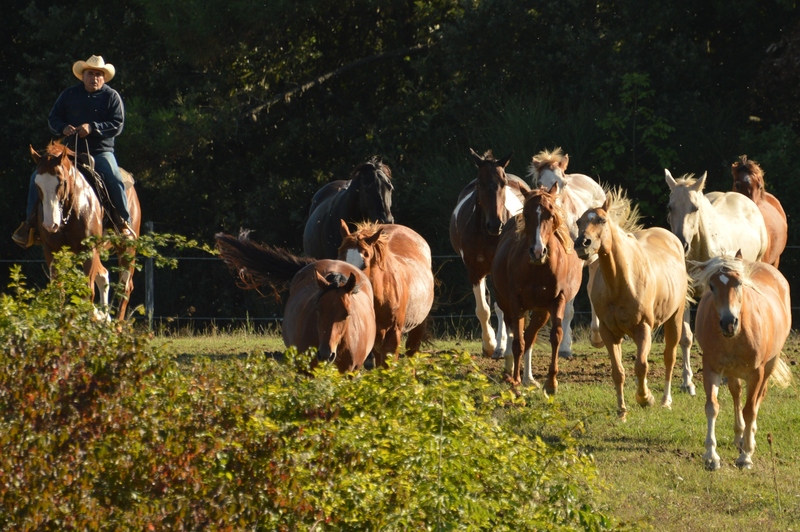 All of our trail horses are on winter turnout right now (note the difference between the hairy Dali, Navarro and Shamal) compared to shiny handsome Chex in the top pick. 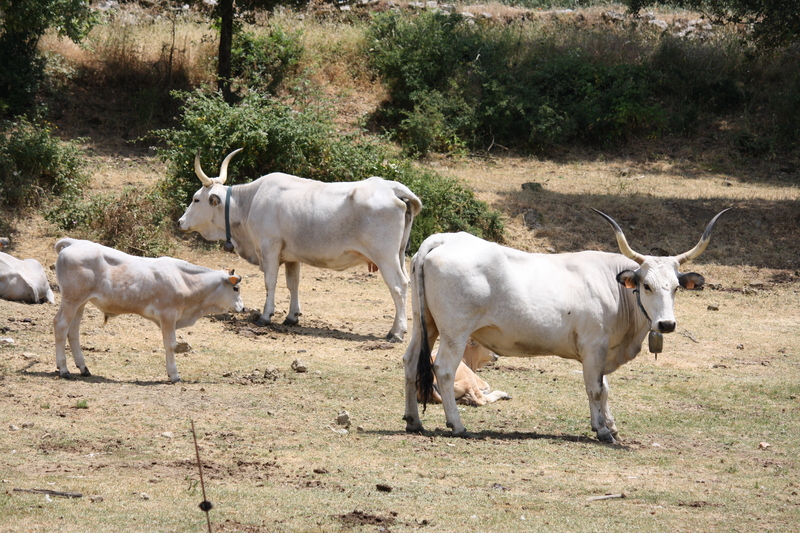 They are enjoying some hard earned rest over these cooler months, and it is always a nice sight to watch them all in a herd environment on the way to work. 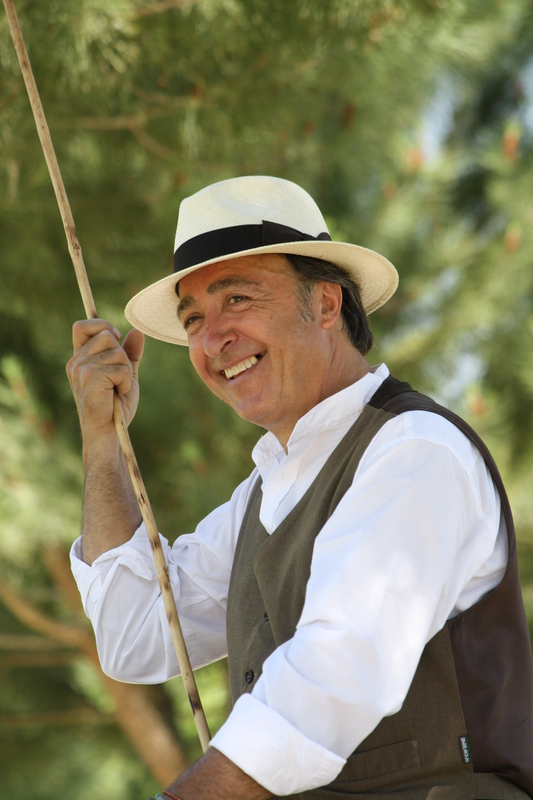 Horses do need to be horses, and they really do need the interaction of a ‘branco’ to stay happy mentally. Here at work, the farm is very quiet without guests. Almost eery. 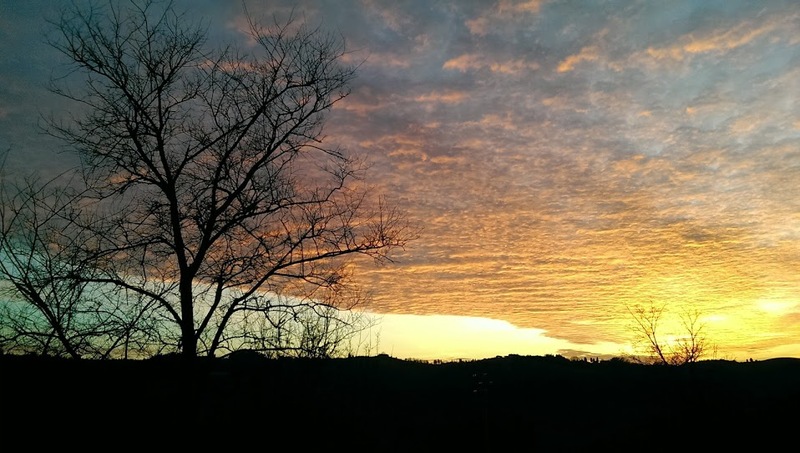 The beauty of the landscape is still exceptional – even with the cold weather. Here are a few pics I took the last few days of the surrounding hills. 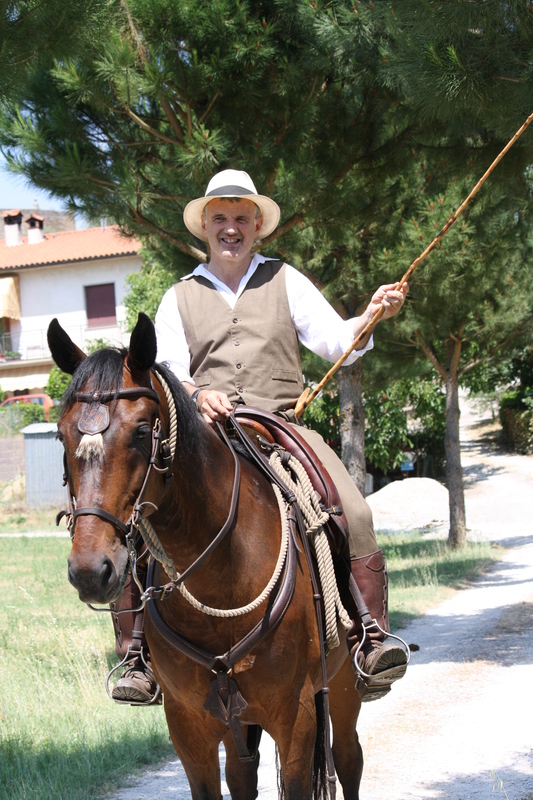 We have begun taking bookings for our riding holidays this year. Looking through some of the last rides photos, I really cant believe how good the weather was that week (November last year). We had no wind, and incredible summer skies every day. Our clients that week were all Brasilian, and really good fun. Here are a few of the photos I snapped on my phone of the rides out together. Nice memories for a winters day! 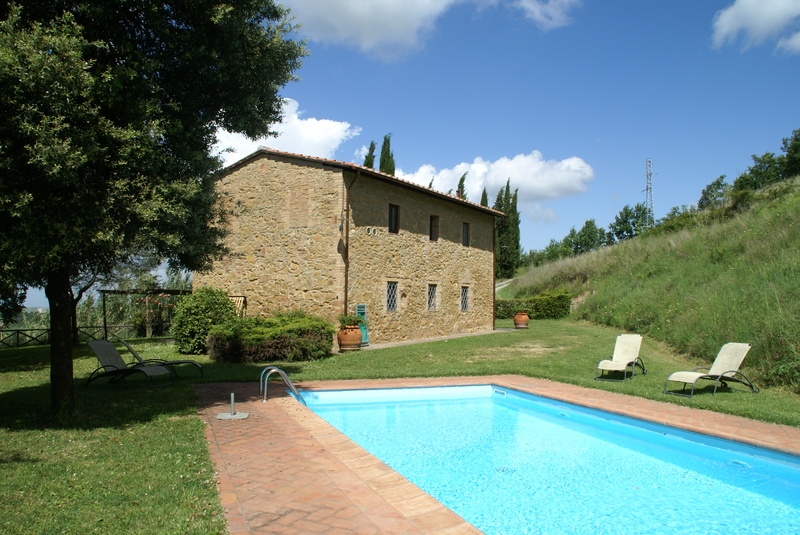 The Collegalli villa, and interestingly this client (the fantastic Patty) is a cousin of the current owners. The villa and farm belonged to her grandfathers family many years ago. I thought this sunset photo was a good way to finish todays post. Il pop up some more recent pics this week!